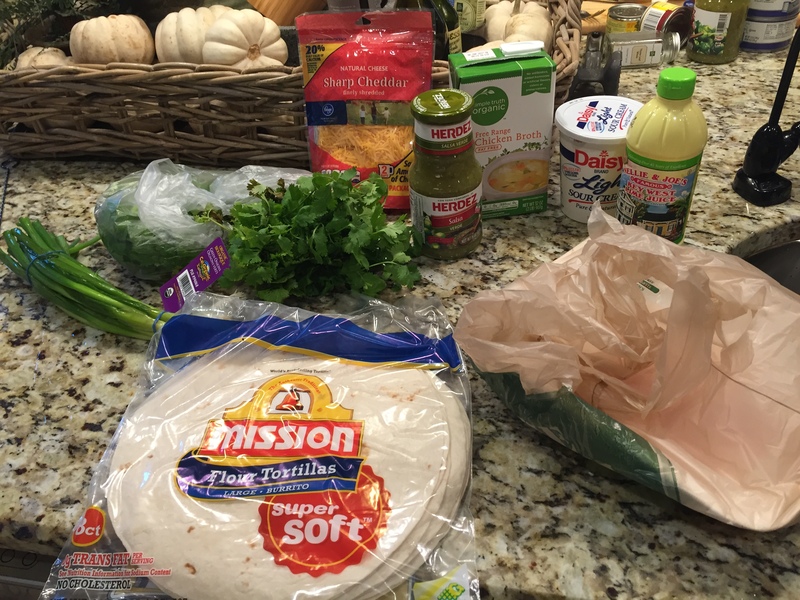 Mexican Fiesta Night! | what are we having for dinner? I was in the mood for some great Mexican food, and honestly, homemade meals are generally better than in a restaurant (unless you’re in Texas, California or MEXICO!). 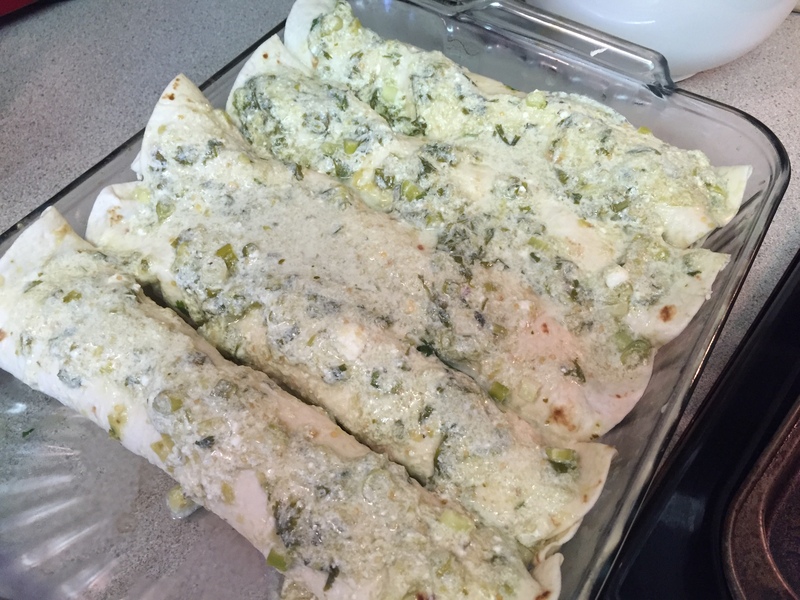 I’ve got several chicken enchilada recipes, but this one, with salsa verde (a personal favorite) sounded really yummy. SPOILER ALERT – – – IT WAS!!! 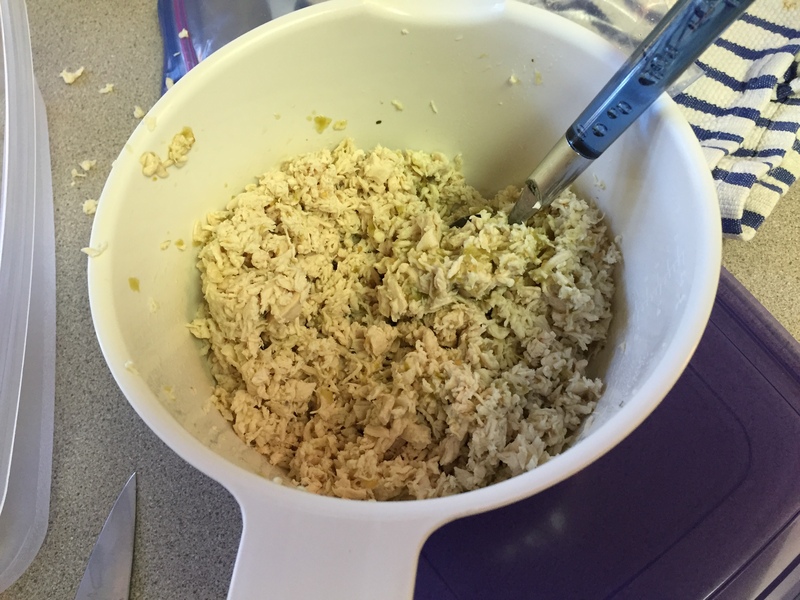 Place the shredded cooked chicken in a medium bowl. 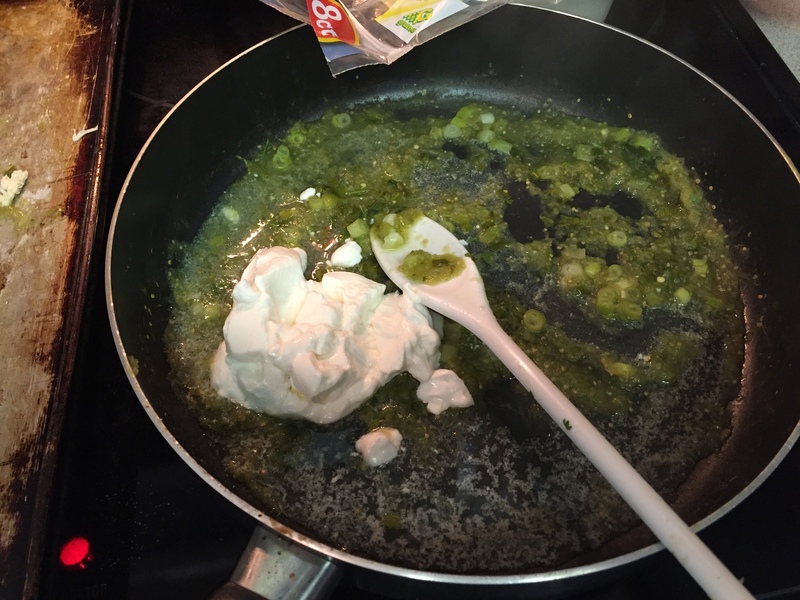 Evenly coat the chicken with 1/2 cup salsa verde. Heat to boiling over medium-high heat. Boil for 2 minutes, stirring occasionally. 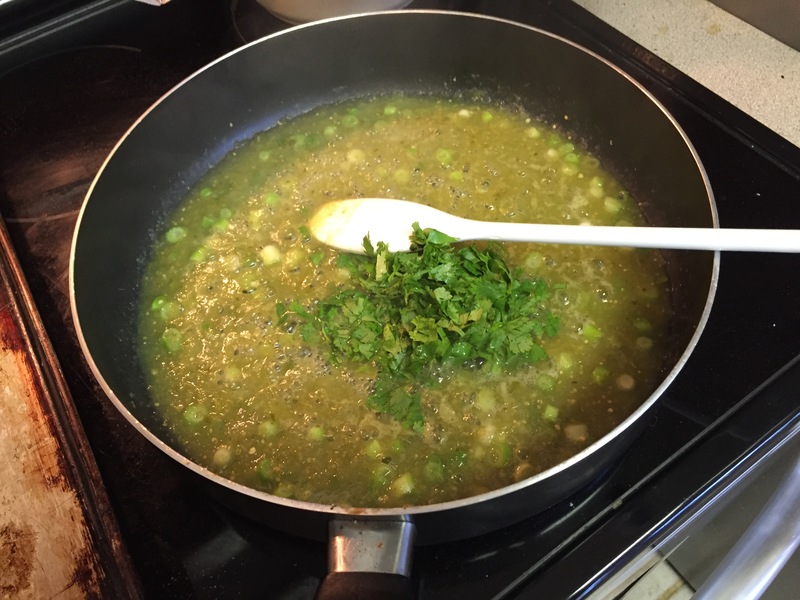 Stir in 1 tablespoons of fresh, chopped cilantro and reduce the heat to low. 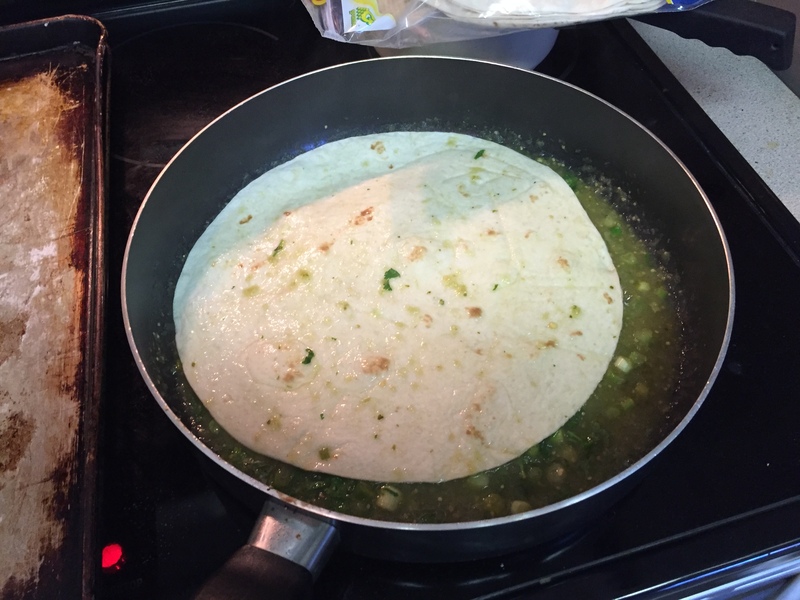 With tongs, place 1 tortilla in the salsa verde mixture, coating it completely. 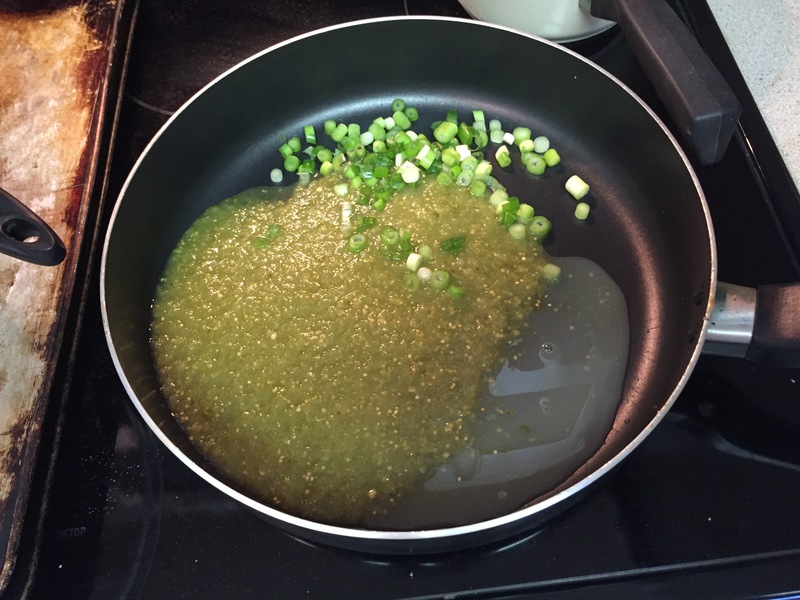 Heat it for 10 seconds, and place it on a sheet of waxed paper or a cookie sheet. 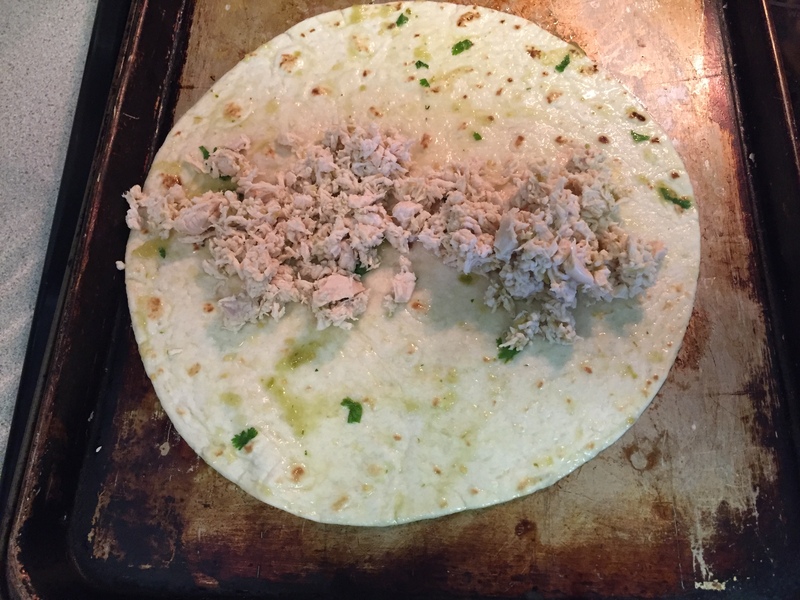 Top with about 1/3 cup of the chicken mixture, and roll up the tortilla. 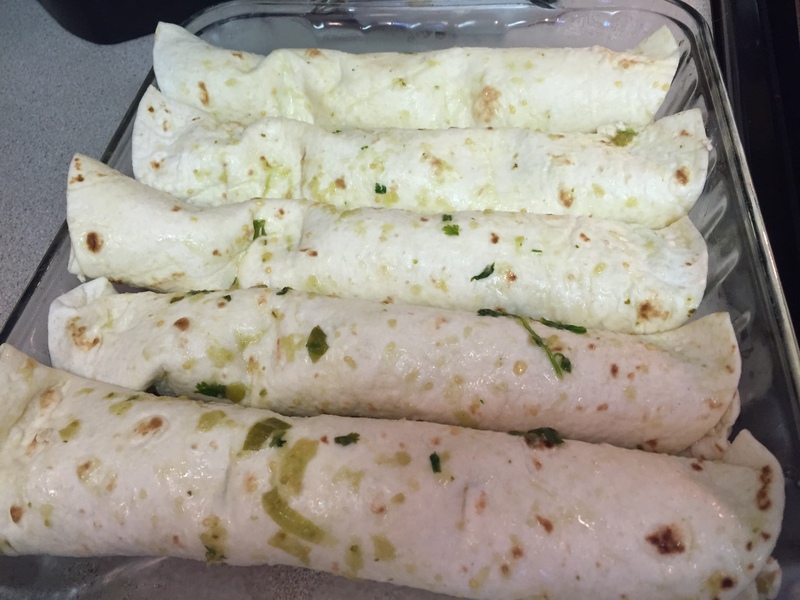 Place it, seam side down, in the baking dish and repeat with the remaining tortillas and chicken, arranging 5-8 tortillas (depending on how much chicken you stuff in each) in the dish. Cover the baking dishes with aluminum foil and bake for 15 minutes. 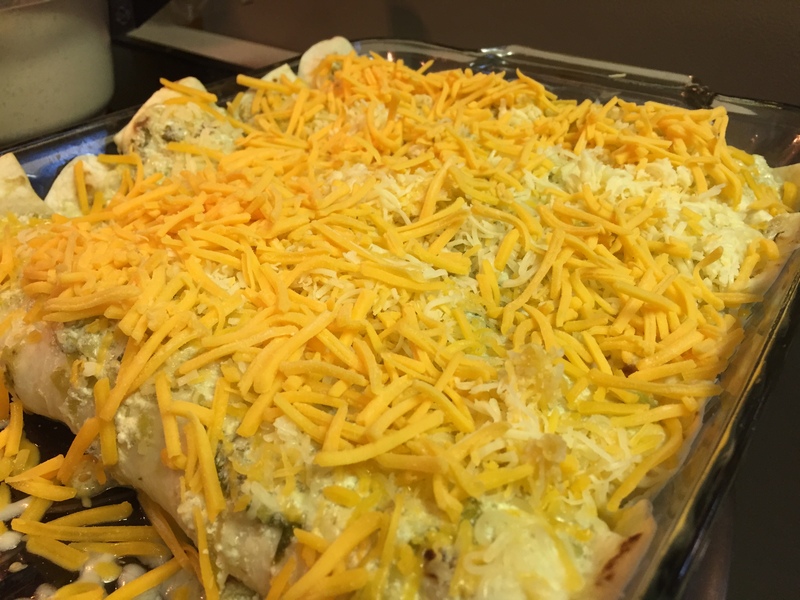 Remove the foil, and sprinkle the enchiladas with 4 oz. shredded Mexican cheese or cheddar cheese (or a combination of both or even Monterey Jack). Bake for 5 more minutes. 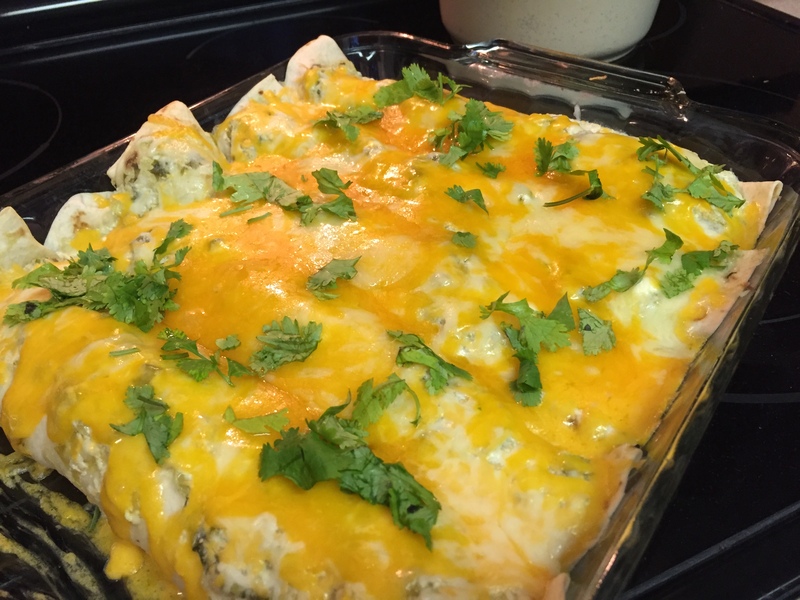 Top with fresh cilantro and dig in!! !